In this video, hear from owners already enjoying the water garden lifestyle. 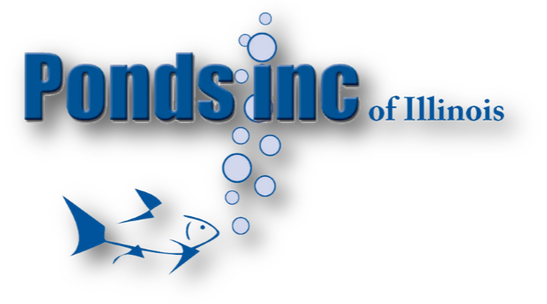 Contact us today to experience the relaxing benefits of the beautiful water garden lifestyle for yourself! ​From gentle water trickling over rocks leading to a quaint pond, to a waterfall cascading into a large pond surrounded with lush plantings, water gardens have many benefits aside from their beauty. There is nothing like stepping out into your very own area of paradise, complete with soothing sounds that help you relax and unwind from today's busy lifestyles. 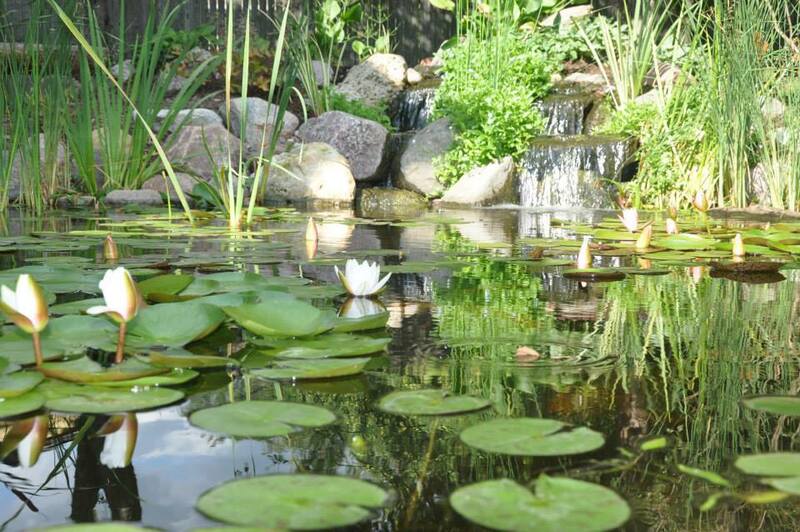 Along with the soothing sounds, your water garden will give you an additional area for your Chicagoland outdoor living space that creates a welcoming environment for you and your family. 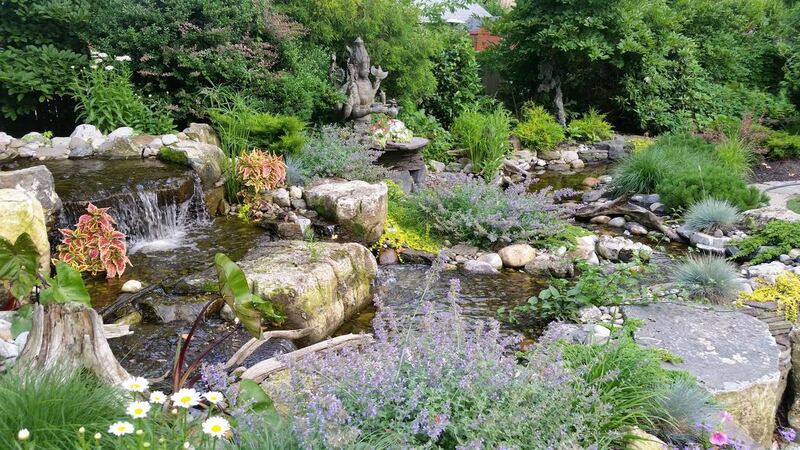 Water features provide an excellent way to support the Kane County Illinois (IL) environment, attracting all kinds of wildlife from butterflies to birds. Depending on your personal style, budget and space available, the possibilities are endless. 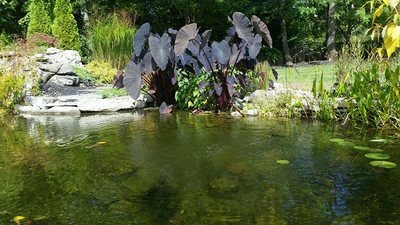 Water gardens can be a place to support aquatic fish, such as KOI or many other fish species and can be a place to house, display, or propagate a variety of aquatic plants. 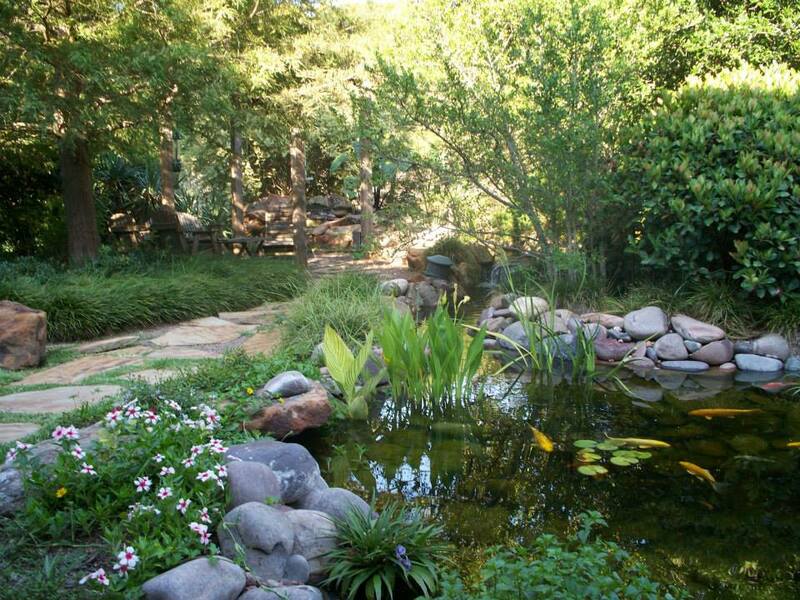 They can also be a habitat for water-loving creatures, such as ducks, turtles and frogs. 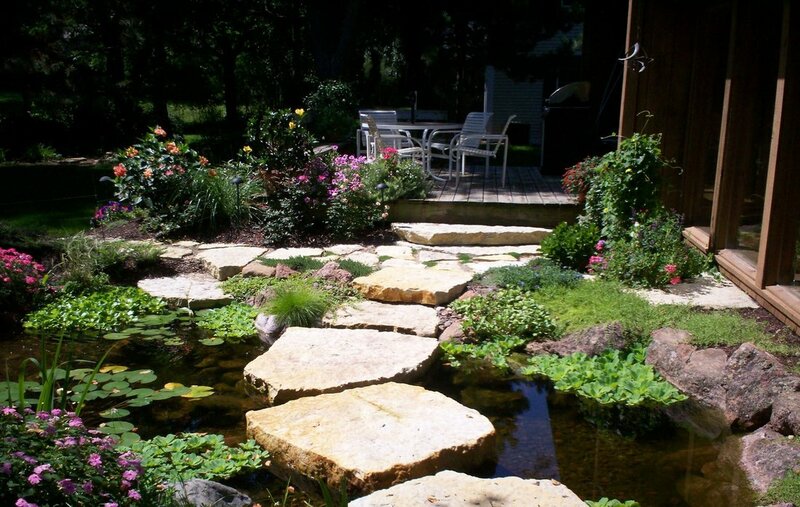 Water gardens are designed and Installed with various types and sizes of stone, and can incorporate a walking bridge or a sitting bench to enjoy the views up close. A pond is a source of relaxation and enjoyment. 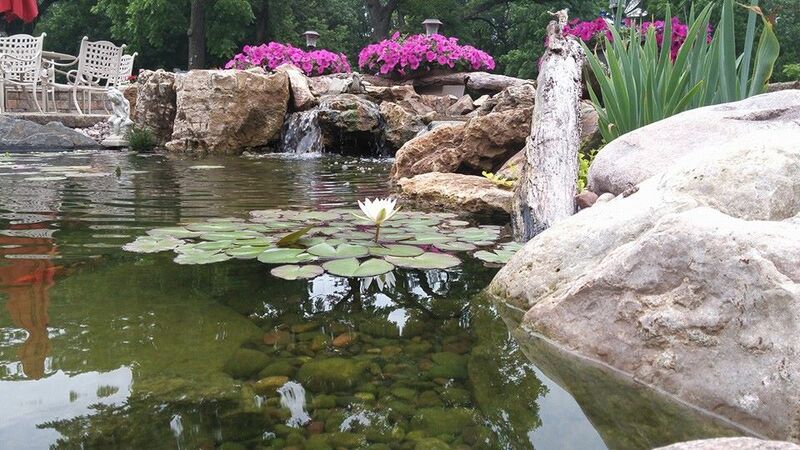 With proper installation using the best equipment, your pond will enhance the appearance of your home or business for years to come. To create a healthy ecosystem in your pond, there are vital roles that plants and bacteria play. The use of pumps and filters along with properly placed edging and rocks provides equally important roles. 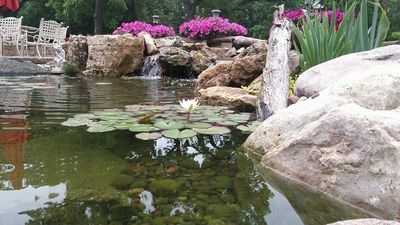 Although not every water feature requires fish, they do add elements of beauty that also play an important role in a pond's ecosystem by cleaning rocks and gravel while providing nutrients for your pond plants. 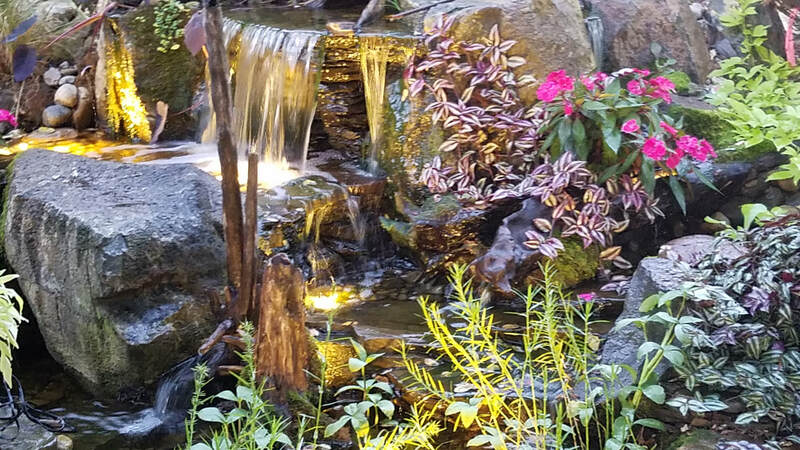 A waterfall is a beautiful addition to a pond or stream and can transform it into a breathtaking sight. 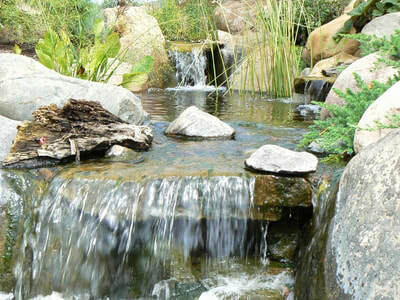 It can be anywhere from a foot to several feet high, providing a splashing sound that further enhances a water garden. 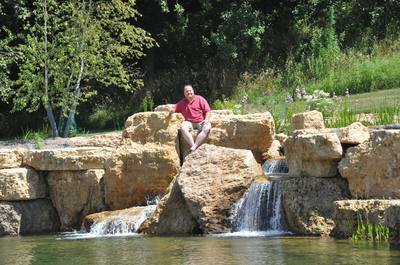 A waterfall can have multiple cascades or a single cascade that leads to a stream or pond. Water is then collected in an underground hidden reservoir where it is pumped back up to be recycled for continual use. Existing slopes, reverse grades and flat elevations can be manipulated to create the perfect installation in any setting. A properly designed waterfall is important to ensure your satisfaction. Proper height, adequate space of plant placement to avoid damage, and building on a slope for a natural look are just some of the other important factors in the designing process. 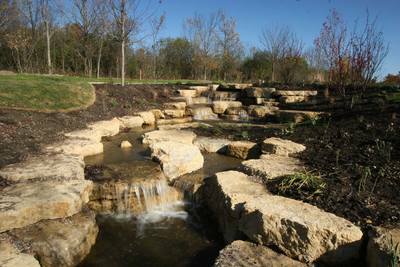 Ponds Inc. of Kane County Illinois (IL) can design a waterfall that fits in with your landscape. 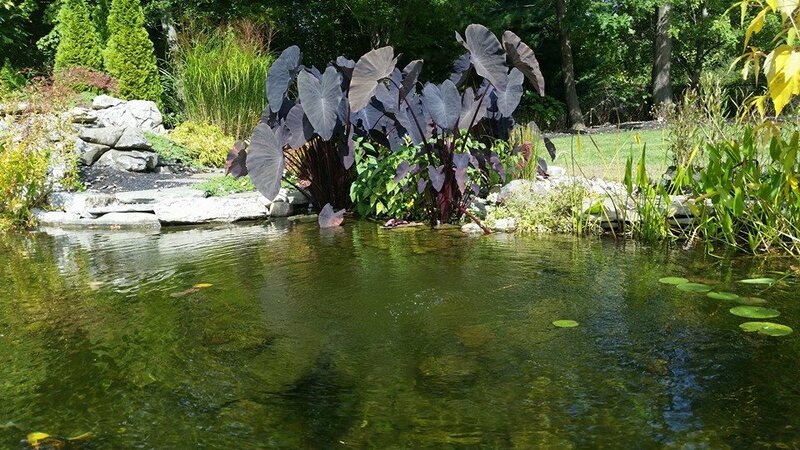 Including a lotus bog can add an interesting accent to your pond layout or landscape. The lotus is a shallow water plant that grows well in a bog. While the upper parts of the lotus plant will be above water, its roots are always wet. Lotus plants are hardy and the blooms are beautiful, and with just a few tubers can result in a splash of color. The lotus bog does not need a large area. 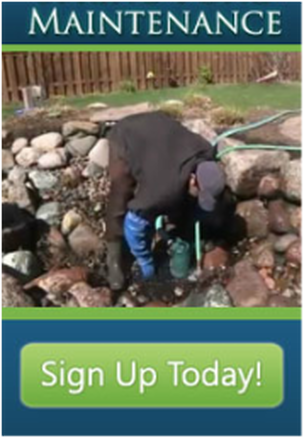 Consult with your Ponds Inc. professional to find the best placement of your bog.